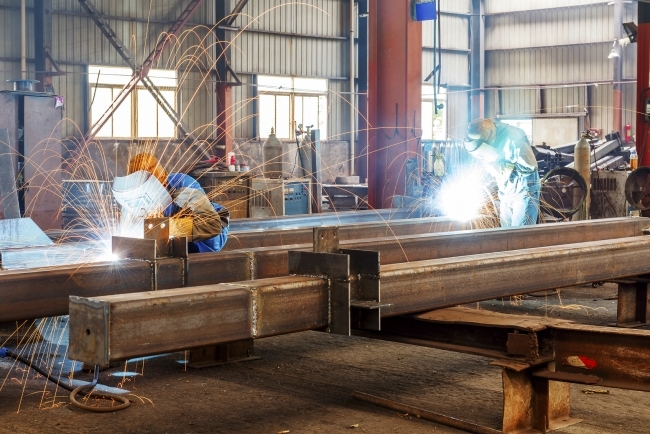 Manufacturing firms reported that both their total and export order books had strengthened to multi-decade highs in June, though output growth slowed, according to the CBI’s latest Industrial Trends Survey. The survey of 464 manufacturers found that total order books climbed to the highest level since August 1988. This was underpinned by a broad-based improvement in 13 of the 17 sub-sectors, led by the food, drink & tobacco and chemicals sectors. Export orders also improved to a 22-year high, hitting similar peaks to those seen in 2011 and 2013. Output growth eased to the levels seen at the start of the year, on the back of slowdowns in the chemicals and mechanical engineering sectors, though remained robust historically. Firms expect a firm rise in production over the coming quarter. But pricing pressures remain strong, with manufacturers continuing to expect a sharp rise in average selling prices, in line with the level seen last month. Stock adequacy dipped marginally, remaining below average. Rain Newton-Smith, CBI Chief Economist, said: “Britain’s manufacturers are continuing to see demand for “Made in Britain” goods rise with the temperature. Total and export order books are at highs not seen for decades, and output growth remains robust. “Nevertheless, with cost pressures remaining elevated it’s no surprise to see that manufacturers continue to have high expectations for the prices they plan to charge. • 13% of firms said their present stocks of finished goods are more than adequate, whilst 11% said they were less adequate, giving a balance of +2%, remaining below the average (+13%).